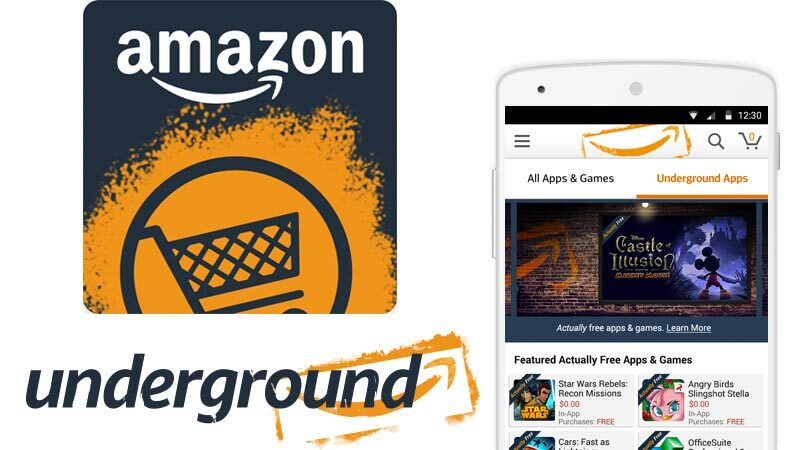 Amazon Underground, the new app for Android smartphones, offers a selection of apps, games and in-app content, all for free. It is designed to break Amazon into the mainstream on Android smartphones by increasing store distribution and customer acquisition. Consequently it means even greater choice on the Android platform. Major app stores like Google Play dominate the mobile ecosystem. Google regulations state that all digital media and apps should use the store payment system to bill for digital goods using credit cards or carrier billing. With Android accounting for 78% of all smartphones shipped worldwide in Q1 2015 (IDC), this represents a lot of customers purchasing content through Google Play and presents a very attractive market opportunity for others. Hardware manufacturers, such as Bango partner Samsung, are able to easily add their own stores directly to the devices they build, making Samsung GALAXY Apps immediately available and easy to find when a customer turns on their new GALAXY S6 Edge+ or Note 5. But for any other merchants or store owners, it is very difficult to get their store in front of mobile customers and retain control over payments and margins. That includes global giants such as Amazon. Without their own volume smartphone they must find ways to get their growing digital ecosystem in front of customers. The introduction of Amazon Underground is a very welcome re-focus, re-position and re-launch of the Amazon store, available in the USA, UK, Germany and France. It makes a selection of apps completely free, including in-app content, unlike the freemium model they used for the Amazon Appstore. It’s a much more compelling incentive for potential customers, which perfectly fits alongside the Amazon Prime model where a selection of videos and more recently music is free, although Amazon Underground is available to everyone, not just Amazon Prime customers. The Amazon Underground app that customers install is the full Amazon store, their “actually free” Underground apps form a small, but very attractive part which drives store installs, increases customer numbers and grows in-store activity, resulting in more revenue from other paid content – payments Amazon retain complete control of. Bango remains a close partner of Amazon, powering carrier billing for this store. Developers are paid for the apps they submit to Amazon Underground based on the total amount of time people use the app, but “Actually free” apps accepted must be available in another store, such as Google Play, at a premium, i.e. a pay to download app or containing in-app payments. Amazon Underground is not suitable for all types of app, especially online multi player games where users pay to gain advantages or short cuts. For example, top grossing Clash of Clans would not be as much fun if everyone had unlimited capabilities for free. Amazon Underground, with its associated marketing support, is an innovative new way for Amazon to quickly acquire customers and dramatically grow their digital sales reach, which is welcomed by Bango. This entry was posted in mobile payment and tagged Amazon Underground. Bookmark the permalink.